The sporty 2019 Honda Civic comes equipped with an abundance of amenities and technology features to upgrade your drive in Sebastian. Created with comfort and safety in mind, the 2019 Honda Civic goes above and beyond the expectations for a Civic. 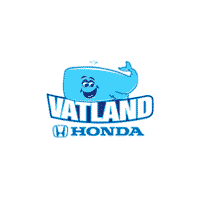 Explore the interior features and then experience it in person by stopping by Vatland Honda. Get the look and feel you want inside your Civic sedan with three cloth and three leather seating options to choose from. Customize the style of your Civic without sacrificing comfort thanks to the selection of niceties found inside, such as spacious, heated seating for up to five passengers. Now no matter where you go or however long the ride, you’ll be sitting in the lap of luxury with the new Honda Civic design. With the curated technology of this Honda model, you can enjoy being connected for every mile of your Palm Bay commute and beyond. Learn more about the Honda Civic interior technology by test driving one for yourself today! To experience the new Civic for yourself, make the drive to Vatland Honda to take one for a test drive. You can also feel free to contact us with your additional Civic questions, such as learning about the Civic maintenance schedule!